George McKenzie died 16th March 1968 aged 90. Son Peter McKenzie died at Leith May 1946 aged 31. 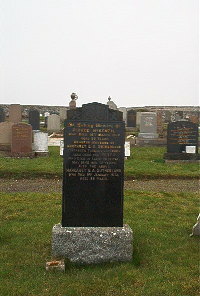 Wife Margaret E A Sutherland of Seaview Terrace Latheron died 9th January 1974 aged 88.